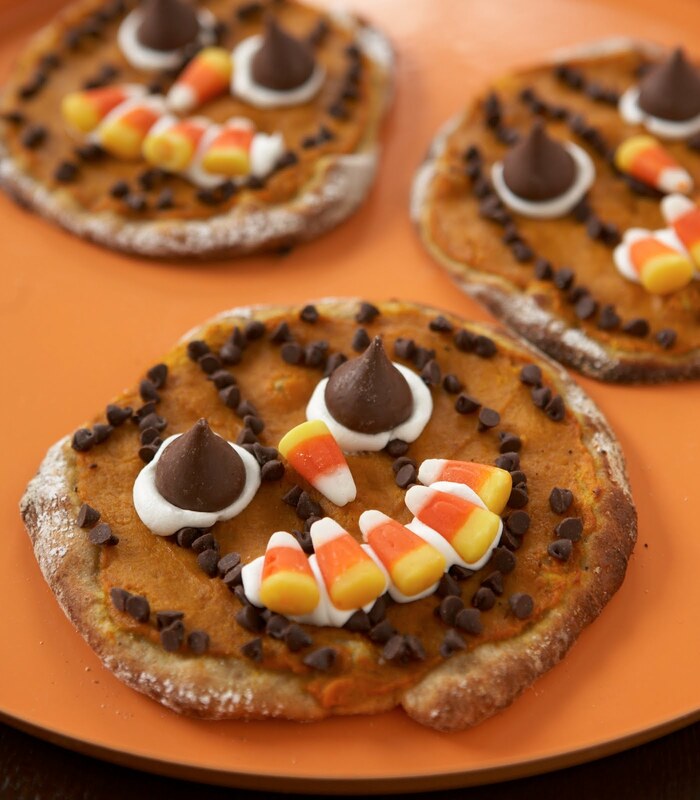 Ingredients: Pizza dough, confectioners’ sugar, pumpkin pie filling, mini chocolate chips, chocolate kisses, whipped cream, candy corn. 1) Place the sugar in a fine-mesh strainer and sift a then, even layer of sugar over the dough. This will caramelize as the pizza bakes. 2) Transfer the pizza to the oven and bake for 5 min to set the dough. Once the crust has been partially cooked, spread with a thin layer of pumpkin pie filling and return to the oven for another 5 -10 minutes, or until the filling is set. Remove and allow the pizza to cool. 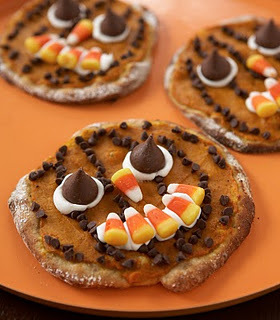 3) Decorate the pizzas using mini chocolate chips to represent the vertical lines, whipped cream for the eyes and mouth, chocolate kisses for the eyeballs, and the candy corn for the teeth. Cookbooks are available at CPK Restaurants and your local bookstore. These books can also be purchased through Amazon.com. CPK has been a hit with families ever since the first restaurant opened back in 1985. Adults love CPK’s signature pizzas. Children love the CPKids menu. In their newest cookbook, Larry and Rick show families how to prepare pizzas, kids’ favorites and other CPK specialties in the comfort of their own kitchens. WIN: 24/7 MOMS and CPK are giving away the California Pizza Kitchen Family Cookbook. 1. Become a 24/7 MOMS Subscriber Enter your email address below then leave a comment that you subscribed along with your email address and also comment which set you would like to win. 2. If you are already a subscriber just leave a comment that you are a subscriber along with your email address and also comment which set you would like to win. US entries only and one entry per person. Winner will be chosen on October 17, 2010.